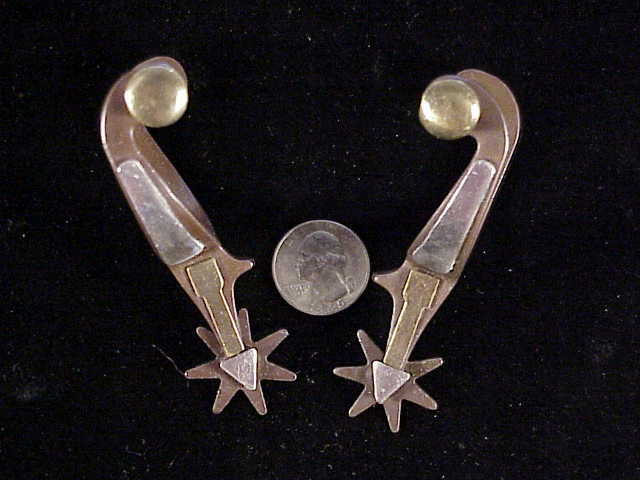 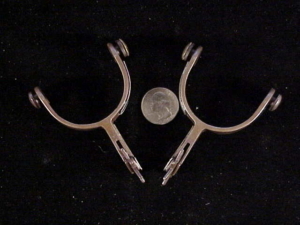 This is a pair of child size silver mounted spurs by an unknown maker. 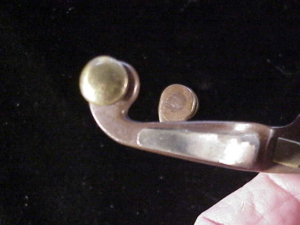 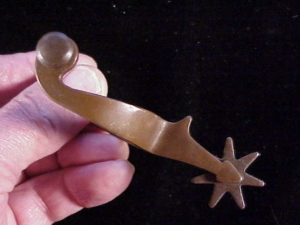 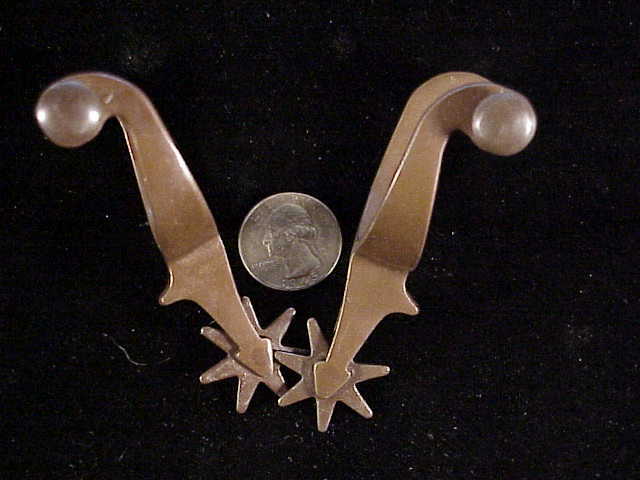 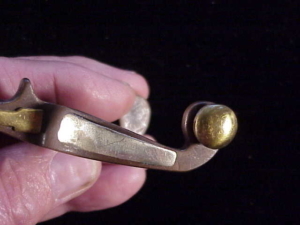 The Yoke part of the spur where the boot heel would fit measures 2″ wide and 1 5/8″ deep. The overall length of the spurs is about 3 1/2″ and the overall width about 2 3/4″ counting the knobs where the spur straps attach. 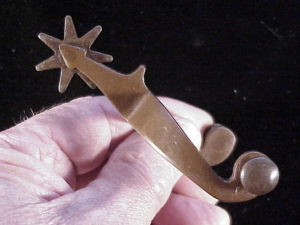 The spurs are made of steel with a browned finish. 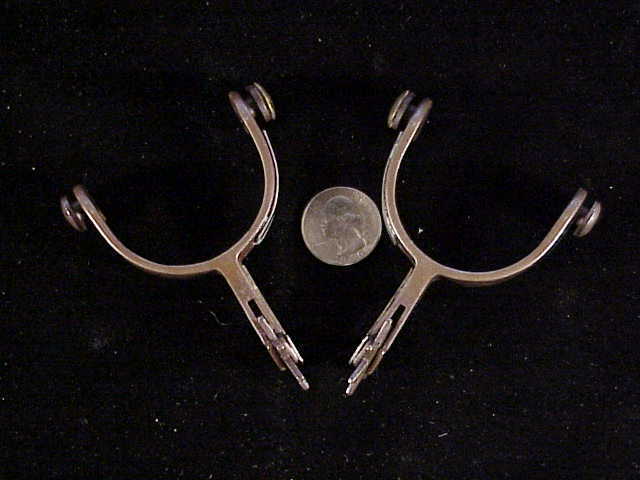 The outside facing side of each spur overlaid with a layer of silver. 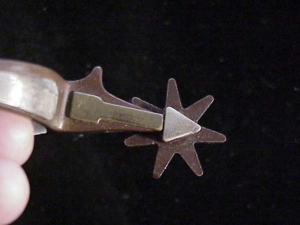 There is an overlaid arrow on the part of the spur that holds the rowel. 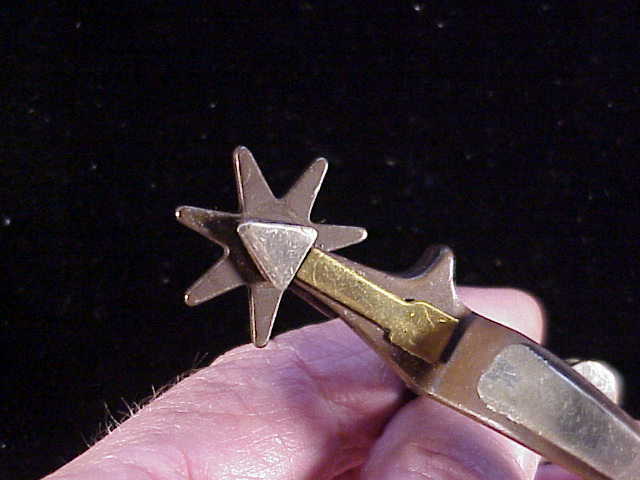 The shaft of the arrow is yellow brass & the arrow head is silver. 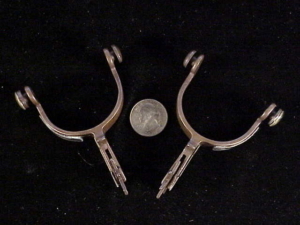 These spurs could possibly be antique. Price: $50.00.